Like many students, when I began my college education, I had little idea of what course of study would best respond to my interests and hopes. I chose some history classes that sounded familiar themes, looked to the sciences and humanities for ideas not explored by my large public high school, and harbored hopes that perhaps I had some talent as a writer that my professors would recognize. Thanks to my gifted teachers, I often felt strangely invigorated as I made my way through books, experiments, and research papers. I was working hard, and I felt very much alive and happy. I felt free. This was a new feeling to me. My father and grandfather were furriers and, when I went to work with my dad, the only sense of freedom I got was when I was paid. But in studying subjects that were difficult and absorbing, challenging and open–ended, I was getting a sense of who I was even as I was encountering facets of the world and people entirely new to me. My fierce engagement in liberal education began as an undergraduate here at Wesleyan, and it continues today, albeit differently, as Wesleyan’s President. I remember well the puzzled looks on the faces of my relatives when I told them what I was studying, and I hear today from parents of undergraduates trying to make sense of the work their children are doing in courses they regard as esoteric. Sometimes, of course, these are the very same parents who were obsessed with ensuring that their kids would be accepted to the schools offering such classes. I remind them that their daughters and sons are discovering the thrill of being challenged at the highest level, as well as their own sense of freedom. Notwithstanding the theoretical and ideological differences among the defenders of liberal learning, all urge that we not abandon the humanistic foundations of education in favor of narrow, technical forms of teaching intended to give quick, practical results. Liberal learning is participatory, requiring that students not just repeat memorized facts but take the time to come to grips with material in a personal or integrative way. Defending the liberal arts is important because the pursuit of so–called “useful” educational results continues apace, and because the threats to humanistic education are indeed profound (from government regulators, from the business sector, and even from within the university). A startling aspect of this kind of education is how it helps us recognize and overcome the ways we often fail to see, fail to connect with the experiences of people and cultures that have something to teach us. Students and teachers learn to translate from one situation to another, and to try to puzzle out the diverse ways that different people give significance to their lives. Remembering to look for what William James called the “whole inward significance” of another’s situation is a crucial dimension to an education that takes us beyond the comfort of our borders. In crossing these borders we become lifelong learners, citizens eager to understand those around them as they understand themselves. Liberal education today should be reflexive: it should be capable of revision through the regular re–examination of assumptions. And liberal education should be pragmatic: it should promote inquiry and experimentation, connecting traditions of learning to contemporary problems and opportunities. Education should deepen a person’s capacity to translate between different modes of knowledge. We shouldn’t imagine (with hope or dread) that liberal education will result in people having the same politics and ethical values that happen to be common right now among the American professoriate. Liberal education shouldn’t aim to produce liberals. An honest defense of liberal learning must be prepared to acknowledge the extraordinary variety of ways in which the arts and sciences can be taught or put to use. We cannot promise specific political and social results without undermining our credibility as humanists (or even posthumanists) willing to critically examine our own presuppositions. A pragmatic, reflexive approach to liberal arts (including the sciences) would be open to political irrelevance as well as to making a contribution to the public good. A pragmatic, reflexive approach would allow for productive economic action as well as for self–examination—for practical, measurable success at specific tasks as well as self–consciousness and empathy. A pragmatic, reflexive approach to education would enable students to discover what they love to do, to get better at it, and then to be able to explain why what they love to do might be of interest to somebody else. A pragmatic, reflexive approach to learning gives us an enhanced opportunity to experience the world and understand ourselves without undue reliance on unquestioned authority while opening the possibility of sharing that experience with others. 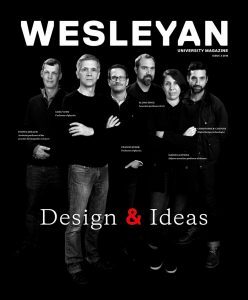 This is the opportunity of freedom, and its pursuit is why we at Wesleyan continue to be passionate advocates for liberal education.